Thank you to Cambria Style Magazine for featuring Loom, a jewel glass mosaic, which is part of the Ikat Collection by Sara Baldwin for New Ravenna Mosaics. To connect with Cambria on Facebook, click here and follow @CambriaQuartz on Twitter. 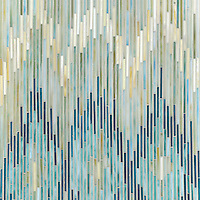 Loom, a jewel glass mosaic shown in Quartz, Agate, Aquamarine, Tanzanite and Turquoise, is part of the Ikat Collection by Sara Baldwin for New Ravenna Mosaics. 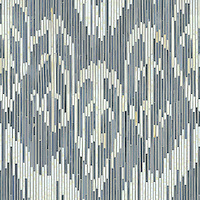 Weft, a jewel glass mosaic shown in Quartz and Pearl, is part of the Ikat Collection by Sara Baldwin for New Ravenna Mosaics. Pamir, a jewel glass mosaic shown in Carnelian and Tortoise Shell, is part of the Ikat Collection by Sara Baldwin for New Ravenna Mosaics. 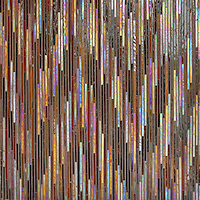 Click here to see more of the Ikat Collection by Sara Baldwin for New Ravenna Mosaics.